In the article the author points out constitutional status of the oath of the State President of the Republic of Latvia. In the article procedural aspects, like giving of the oath, is explained; by providing examples of oath giving and also pointing out some problematical or unclear aspects author explains importance of it. As the oath contains several values which bide the State President, article provides theoretical and axiological explanation of it`s content, clearing up so called material aspects of the oath. 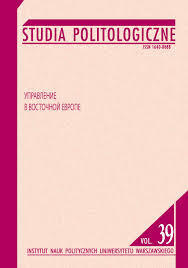 Taking into consideration importance of the oath of the State President, author points out problematical aspects of liability of the State President in Latvia. Ten wpis został opublikowany w kategorii Czytelnia, Jakość rządzenia i oznaczony tagami constitution, the Republic of Latvia, the State President. Dodaj zakładkę do bezpośredniego odnośnika.